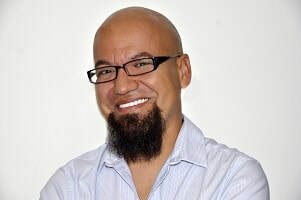 ​Jorge Gonzales Architecture Design Studio is a full-service architecture practice located in Albuquerque, New Mexico. Established in 2018, Jorge brings over 19 years of experience in the field, versed in a wide variety of projects including Healthcare, K-12, Higher Education, Commercial, and Retail. Every project, regardless of size or scale, is unique and emerges out of specific programmatic, budget, and site opportunities that inform the design process. My approach to each design is to balance the economic, ecological and social variables as we strive to create architecture with the ability to positively transform communities. The result is buildings that are in tune with their surroundings and resonate with their users. Inspired design doesn’t happen in isolation. It’s the result of honest communication in a partnership between the client and the design team. Distinctive solutions begin with client goals. These goals evolve through trusting collaborative relationships and come to life through the insight and expertise of our design team.